Xriba, a London, UK-based company that aims to bring accountability and transparency to cryptocurrency companies through an “Open Accounting” Protocol, has already raised an equivalent of $12.6m in its token crowdsale event. 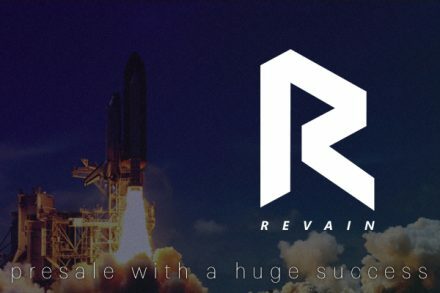 The crowdsale event is still running until July, 7th. The company plans to use the funds to continue to develop its “open accounting” protocol that wants to decrease bookkeeping effort for crypto and traditional companies whilst enabling them to get access to a framework for remaining transparent and accountable to investors, supporters, and the open market. The Xriba protocol is creating a decentralized method for saving, archiving and querying financial transaction records. The protocol records financial transaction records on a public decentralized ledger where accounts can be stored and queried, and also includes an open API allowing third-parties to build their own accounting applications or tools. Cryptobooks for cryptocurrency business which will decrease data entry by up to 72% using AI and ORC. tech, legal and compliance auditing. 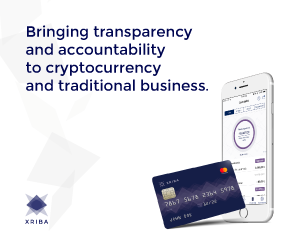 Users can now purchase Xriba tokens (XRA) which can be used to pay for suite of services offered on the Xriba Protocol. Circulating supply at launch will be 148,000,000 at a rate of $0.30 each. The greater the usage and popularity of the Xriba Protocol and Xriba transparency services, the lower the circulating supply of XRA will become. The hard cap $19,450,500 and total supply of Xriba tokens is capped at 275,000,000. To participate in the Xriba crowdsale, investors need to download the free Eidoo app and use the inbuilt Eidoo ICO Engine to purchase the tokens.